We all know what is a QR Code. But did you know that there are two types of QR Codes? They’re called static and dynamic. A static QR Code is the most basic form of a QR Code. It stores alphanumeric characters (or target content) in the code itself. Like how a barcode has numeric data stored in the code itself. Say you are a marketer and you want to redirect your consumers to a website using a QR Code. If the data encoded in the QR Code is the website address then the QR Code is a static QR Code. Once created, you cannot change the data. If you want to redirect to a new website, you will need to create a new static QR Code. Sounds expensive, doesn’t it? That’s where dynamic QR Codes come in. 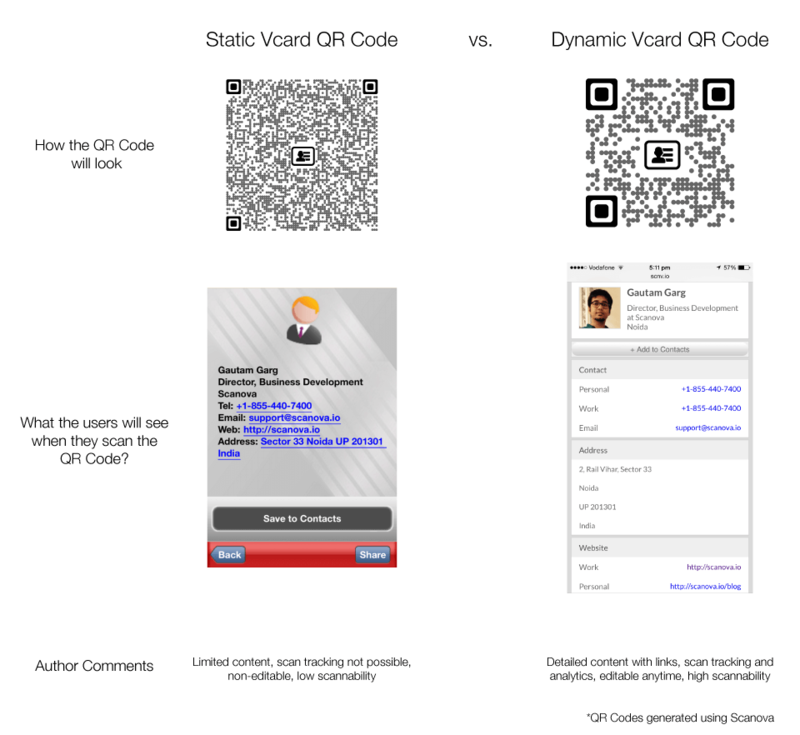 What are the benefits of dynamic QR Codes? This gives great flexibility if you are running dynamic QR Code campaigns with varying content. You can edit the URL at anytime without the need to reprint the QR Code. Imagine you added a QR Code to your business card. Today you want people to see your LinkedIn profile. A year later you may want to redirect them to your own website. You can do this if you are using a dynamic QR Code. It gives you a deep insight on how your campaign is working out for you. It also gives you opportunities to increase your conversion rate. Because a dynamic QR Code contains only a short URL, the QR Code has fewer modules. The end result will be that you can keep the QR Code smaller as compared to a static QR Code. 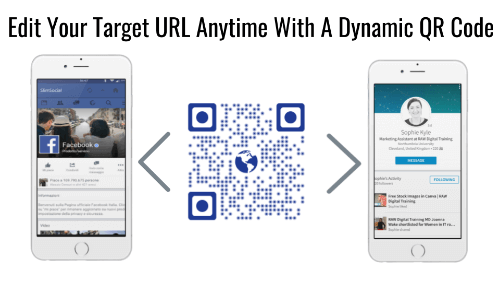 What if your campaign has ended and yet your QR Code redirects the user to the URL? Well, with the click of a button, you can activate/deactivate your QR Code at anytime. Note that with static QR Codes this is impossible as long as the end target URL is active. 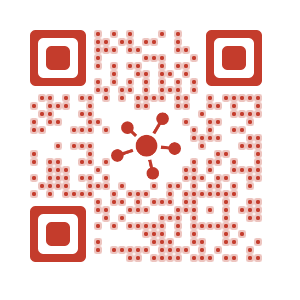 Create a Dynamic Business Card QR Code now. Running a campaign to get social media followers using a QR Code? Why stop at Facebook? Use a Social Media QR Code. It lets you create a landing page that contains links to all your social media pages. Your audience can choose their favorite social media platform to follow you. Create a Social Media QR Code now. 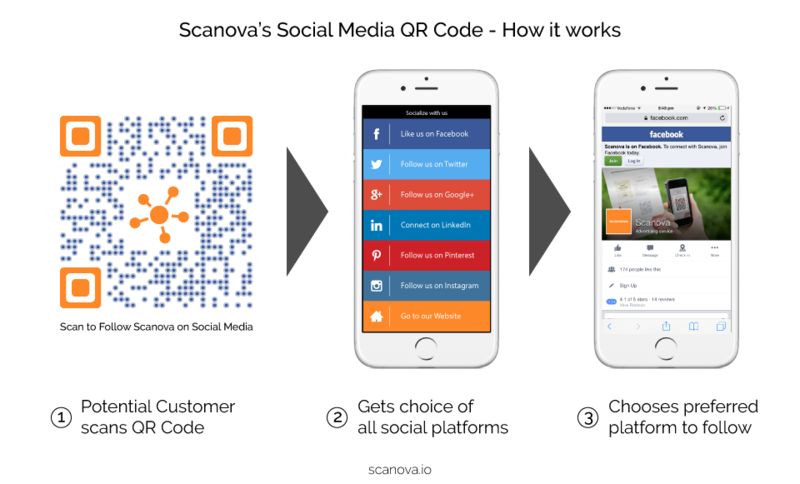 Creating a QR Code to get your target audience to download your mobile app? You are most likely using 3 different QR Codes – each of iOS, Android, and Windows. 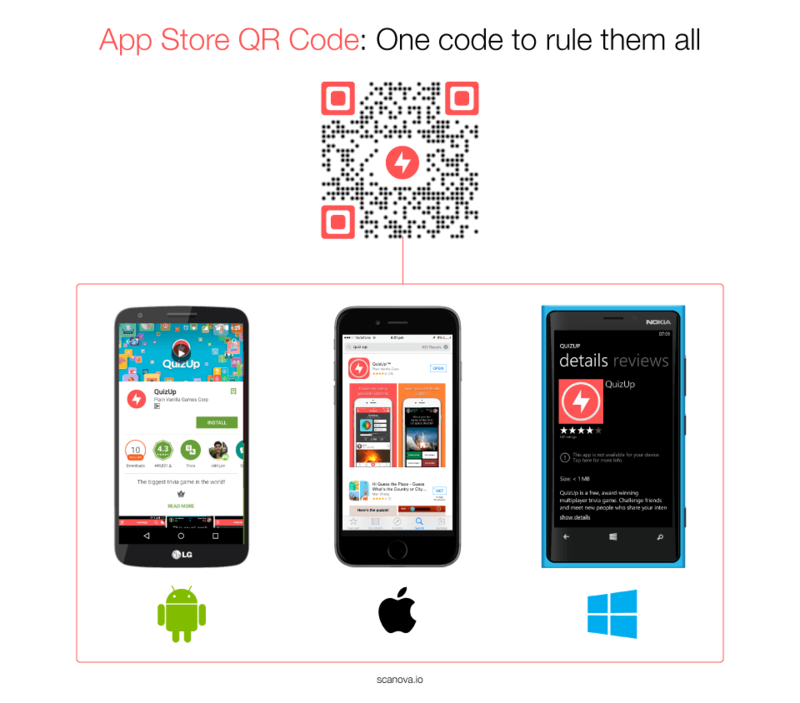 App Store QR Code is a single QR Code that does the job of all three. It first identifies the operating system of the scanning device. Then, it redirects it to the right app store. Neat, isn’t it? Create App Store QR Code now. How to create a dynamic QR Code? Go ahead and create your first Dynamic QR Code with an online QR Code generator. You can also see the detailed comparison of various QR Code generators here: Best QR Code Generator 2018.